By Editor , in Local Nation Politics on January 22, 2019 . KUALA LUMPUR, January 22 – Thaipusam, a day of devotion for millions of Hindus in the country, was seen as a fitting platform for DAP supremo Lim Kit Siang to recall one Thaipusam day in the not-too-distant past when two icons of Malaysian politics met. The Iskandar Putri MP chose to remember how the late Tok Guru Nik Aziz Nik Mat visited the late Karpal Singh at the then DAP chairman’s house in Penang on January 27, 2013, a day before Karpal’s birthday. “Let us remember Karpal Singh and Nik Aziz on Thaipusam as two great icons for a New Malaysia that Pakatan Harapan wants to build after the last general election. “The then-menteri besar of Kelantan and mursyidul am (spiritual leader) of PAS celebrated his own 82nd birthday (January 10) in Karpal’s home and offered him a slice of his birthday cake. “Even Utusan Malaysia gave a frontpage coverage on this, with the heading: ‘Hari jadi Nik Aziz di raikan dirumah Karpal Singh’ (Nik Aziz’s birthday celebrated in Karpal Singh’s home),” Lim said in a statement. Lim shared how Karpal told him that it was nice of Nik Aziz to come despite the differences they had. Karpal is famous for having taken the hardest stand against PAS’ call for hudud law, saying it will only happen “over his dead body”. That birthday meeting by the leaders of then political allies, DAP and PAS, under Pakatan Rakyat, less than four months before the 13th general election (GE13) on May 5, 2013, was a pivotal one marking a closeness never before seen between the parties. It helped both PAS and DAP to make further inroads in both the Dewan Rakyat and various states with the help of supporters from the respective parties. “Sadly, that birthday meeting was one of the last spectacular moments of Karpal Singh that Malaysians will remember,” Lim wrote referring to Karpal’s death in a road accident just 15 months later on April 17, 2014. Lim called for Malaysians of all races to look to Karpal and Nik Aziz as examples of harmony, goodwill and tolerance that we all can emulate. “Their legacy should be a New Malaysia that is a model of peaceful multi-religious diversity, and a showcase to the world to dismantle walls of misunderstanding, hatred and intolerance among religions and to build bridges of understanding, harmony and tolerance among different faiths. Lim has released a statement on the occasion of Thaipusam in previous years, but his most memorable was in January 2008, two months before the momentous March 8 general election in which Barisan Nasional lost the two-thirds majority in the Dewan Rakyat for the first time, as well as lost five states to the then Pakatan Rakyat opposition coalition. 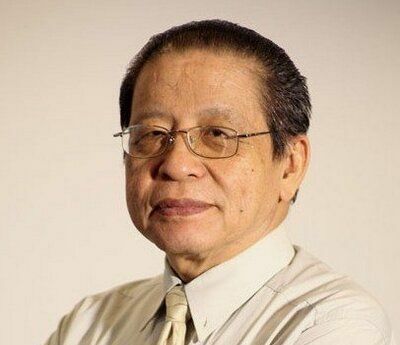 In his message then, Lim made a call to then prime minister Tun Abdullah Ahmad Badawi to address the “long-standing marginalisation of Indians in Malaysia that had made them a new underclass in the country”. Lim had also called the conversion of all the partially-aided Tamil primary schools into fully-aided schools, as well as asked that an immediate RM500 million allocation be made to upgrade the facilities and standards of Tamil primary schools. In that 2008 statement, Lim also urged the then BN government to impose a one-year moratorium for an end to all demolition of Hindu temples in the country.